Contact scoring can be a simpler method than tagging to manage subscriber engagement for your email marketing program. This automation assigns a points value to subscribers who open your email campaigns. 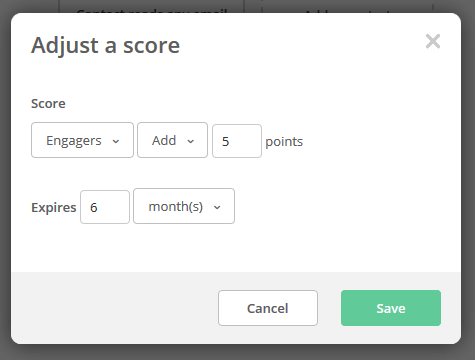 Reminder: your ActiveCampaign subscription must include Contact and Lead scoring before you can use this automation.